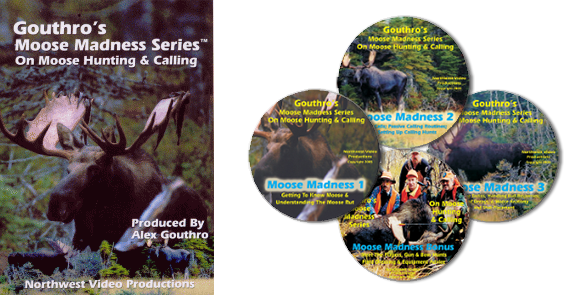 This 4-DVD Gouthro’s Moose Madness ‘Series’ On Moose Hunting & Calling, released in 2005, is easily still the most comprehensive program ever produced on moose hunting & calling. 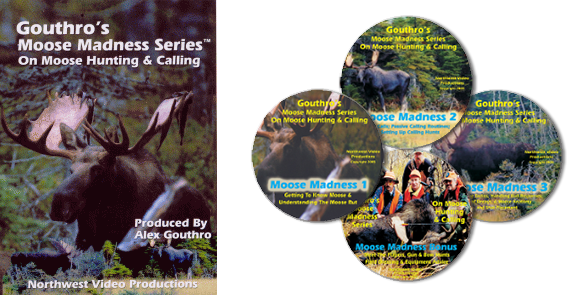 This program goes far beyond the essentials needed for the hunter to become an expert moose caller and hunter, and all instruction, where applicable, is accompanied by exciting live moose video. 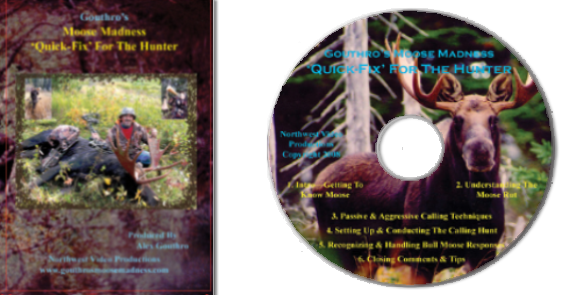 You get to see it all in action.